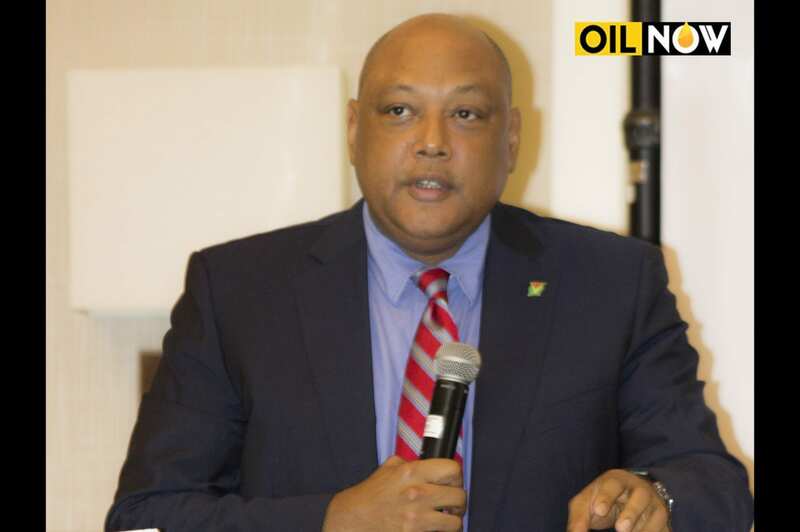 Guyana’s Minister of Natural Resources Raphael Trotman on Wednesday told the United Nations Ocean Conference in New York that as Guyana prepares for offshore oil production in 2020, the country is mindful of the risks to the ocean from spills and is putting safeguards in place. Mr. Trotman, who has direct responsibility for petroleum, represented the Government of Guyana at the conference meant to focus attention and resources on protecting the world’s oceans in support of the implementation of Sustainable Development Goal 14. This aims to conserve and sustainably use oceans, seas and marine resources for sustainable development. He noted that the Conference brought together all relevant stakeholders to share the experiences gained at the national, regional and international levels in the implementation of Goal 14, adding that it was both timely and necessary to reverse the harm being done to oceans and seas. 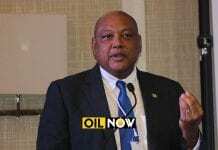 “I wish to share with you at this time that oil production from recently discovered offshore deposits is imminent in Guyana,” Minister Trotman told the conference. A key permit required for ExxonMobil to develop the Liza field is the Environmental Authorisation from the Guyana Environmental Protection Agency (EPA) in accordance with the Guyana Environmental Protection Act of 1996 (EP Act Cap. 20:05). An EIA was carried out by UK-based Environmental Resources Management (ERM) for the Liza Phase 1 Development Project. 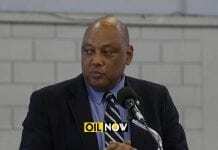 ERM is a leading global provider of environmental, health, safety, risk, and social consulting services. The study found that unplanned events, such as a large oil spill, are considered unlikely to occur because of the “extensive preventative measures” employed by ExxonMobil. 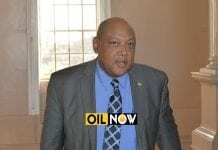 The company, together with its Guyanese partners, led by the Civil Defence Commission (CDC) has an extensive Oil Spill Response plan in place. The high-level United Nations Conference to Support the Implementation of Sustainable Development Goal 14: Conserve and sustainably use the oceans, seas and marine resources for sustainable development was convened at United Nations Headquarters in New York from 5 to 9 June 2017, coinciding with World Oceans Day, to support the implementation of Sustainable Development Goal 14.